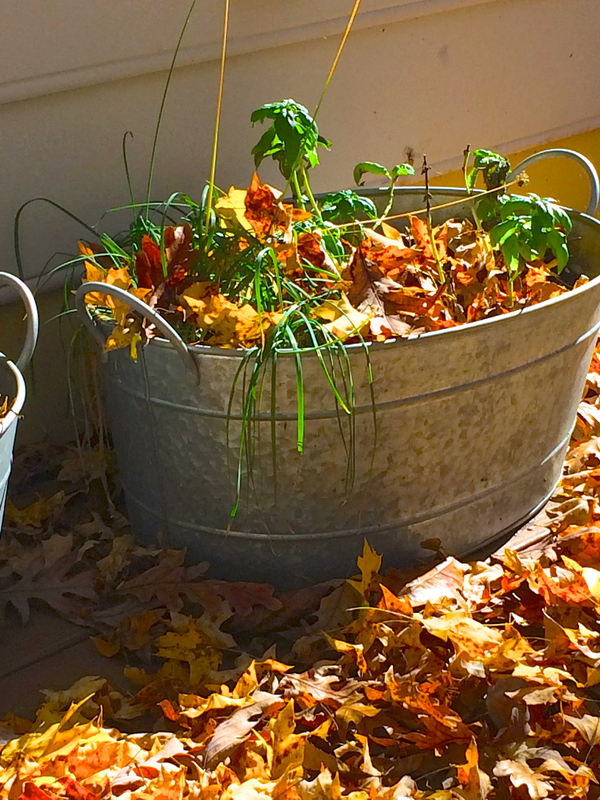 Autumn (or Fall) has definitely arrived here in North Carolina. 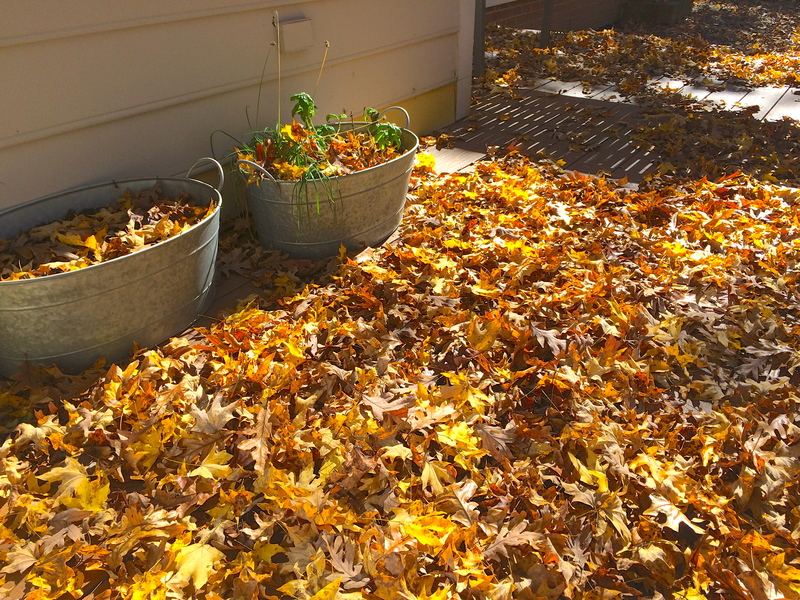 After one windy night our deck is completely covered in leaves. I love the yellows, reds and browns at this time of year. My favorite thing about the photo above is the splash of green against all those warm colors. I had to take a close up to capture the contrast. It is the perfect time to pull out those winter recipes as the nights get colder. 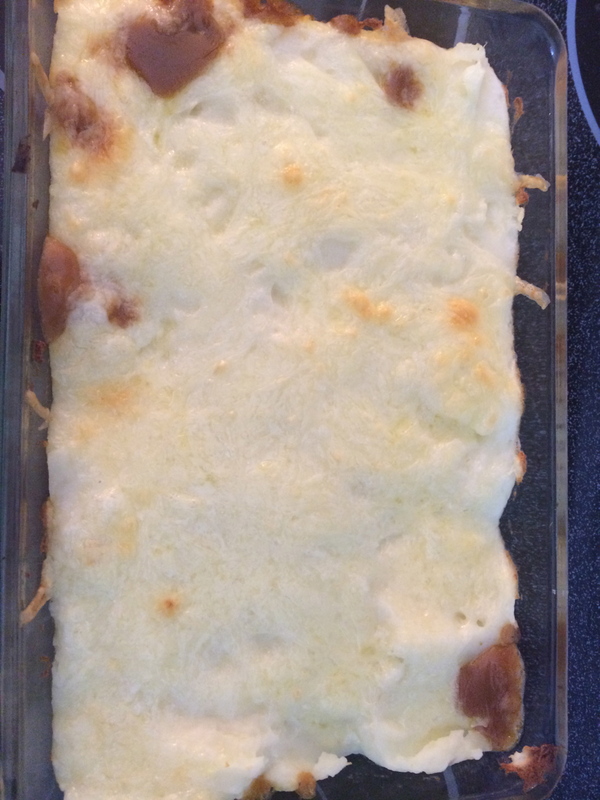 One of our family favorites, a recipe I grew up with, Shepherd’s Pie. Pre-Heat Oven to 375 degrees F (or 190 C). In a sauce pan, heat oil. Add onion and cook until glassy. Add the ground beef and brown the meat. Once meat is brown, sprinkle 2 Tbsp over the top. Mix the flour into the meat sauce. Over medium heat, add the carrots, peas, ketchup, stock, and marmite (or worcestershire sauce). Stir until blended, turn heat to low. Simmer for 10 minutes. 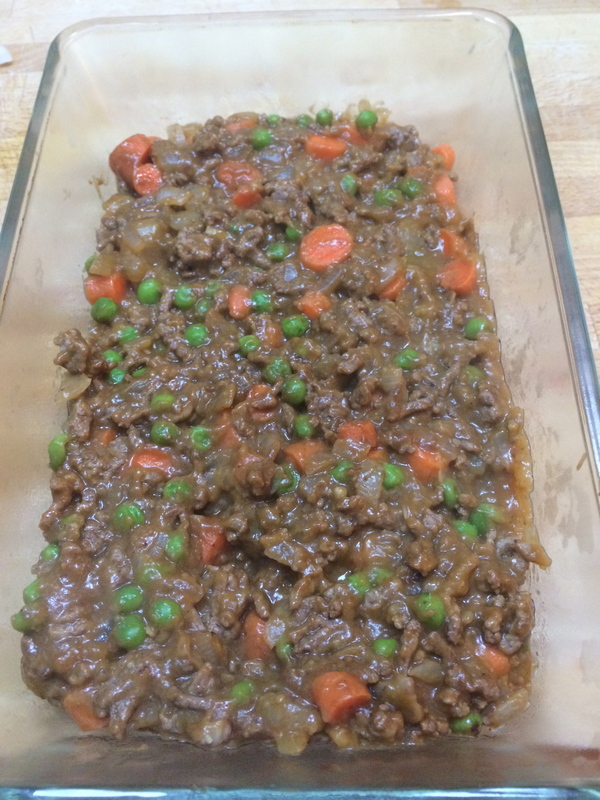 Place the meat mixture in a baking dish. NOTE: I like my carrots a little crunchy, if you would like them soft – cook carrots or use chopped frozen carrots. After draining your cooked potatoes, add butter and milk. Mash potatoes, butter and milk to make smooth mashed potatoes. Spread the mashed potatoes over the meat mixture. Sprinkle the grated cheese over the potatoes. 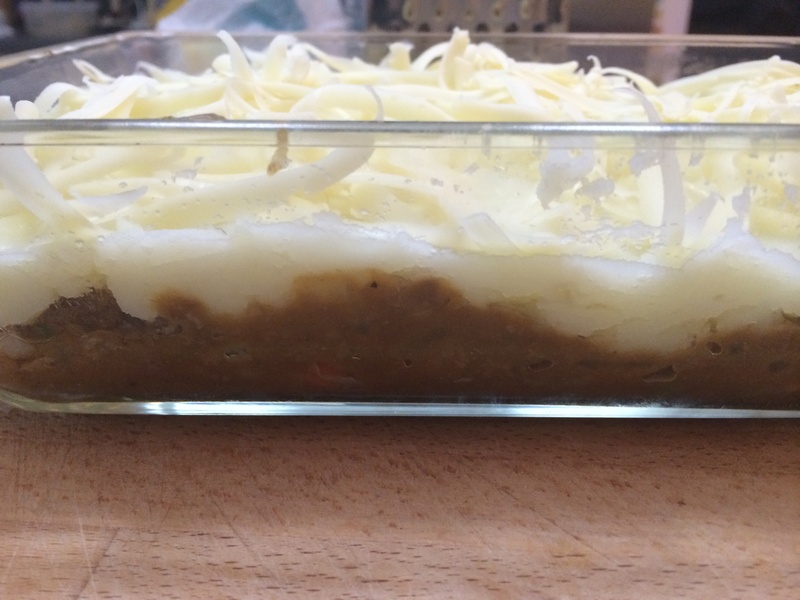 Place the baking dish in the oven for 20 minutes. The cheese should start to brown. Remove the dish from the oven and let stand for 10 minutes. Serve with a side of vegetables (e.g. Broccoli or Cabbage). Here is the rest of our dinner plan for the week on our $70 budget. This entry was posted in Uncategorized and tagged autumn, Autumn recipes, breakfast, dinner, fall, Fall recipes, pumpkin bread, recipes, shepherds pie, split pea and ham soup, vegetable frittata on November 5, 2013 by mlwilkie. Funny how everything was green one day then bright beautiful orange and red the next huh? Looks yummy!